Last week we had a chance to sit down with Brett Adams, our lead grower and resident soil buff, to hear an update on how this year’s grow is progressing. 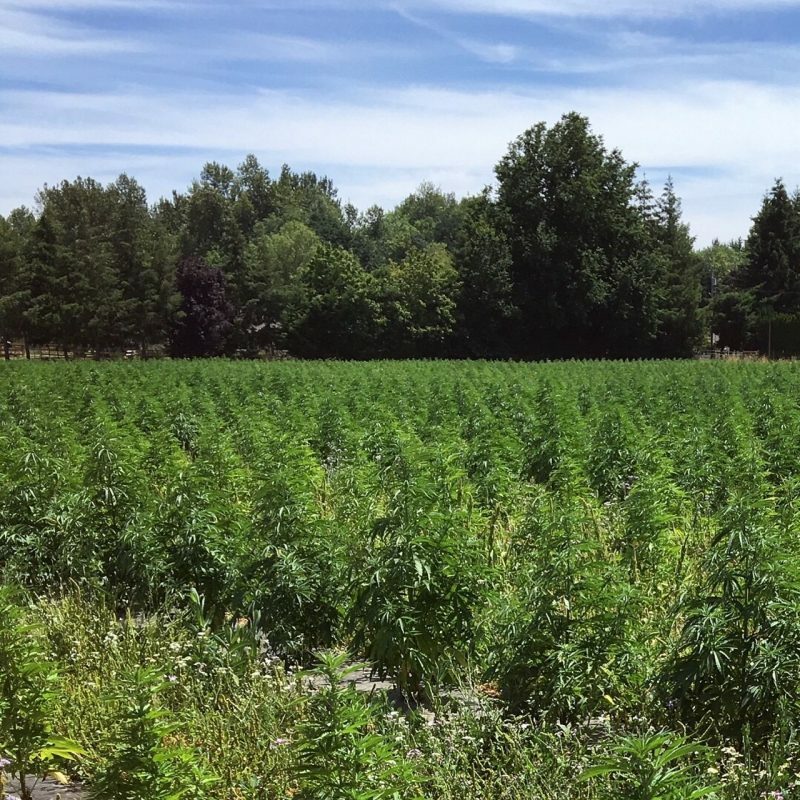 Brett, his twin brother Reid, and his father Chuck, are out in the fields every day tending to the hemp plants and making sure they have what they need to thrive. The healthier our plants are, the more energy they can put into producing resinous, high cannabinoid flowers. This is the medicine we’re seeking from the plants. So far, we have good news coming in from the fields. Industrial vs. Craft vs. Cannabis? For those not familiar with hemp farming, here’s a little background. It’s been legal to grow hemp in the United States since the 2014 Farm Bill was passed. This did not federally legalize hemp farming, but gave states the freedom to launch pilot hemp research programs. 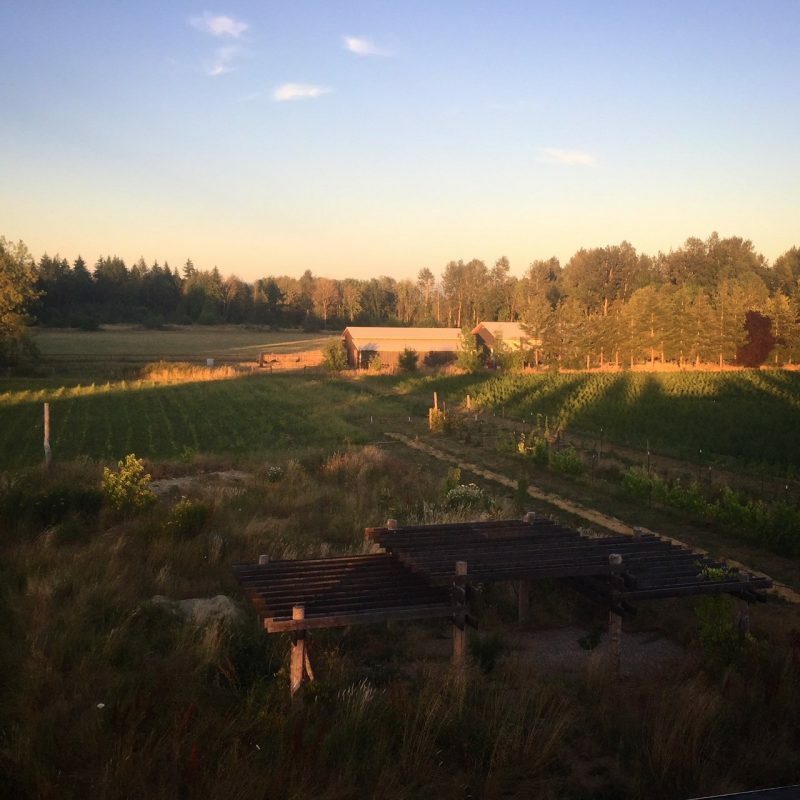 Frogsong Farm grows under one such research program through the Oregon Department of Agriculture. 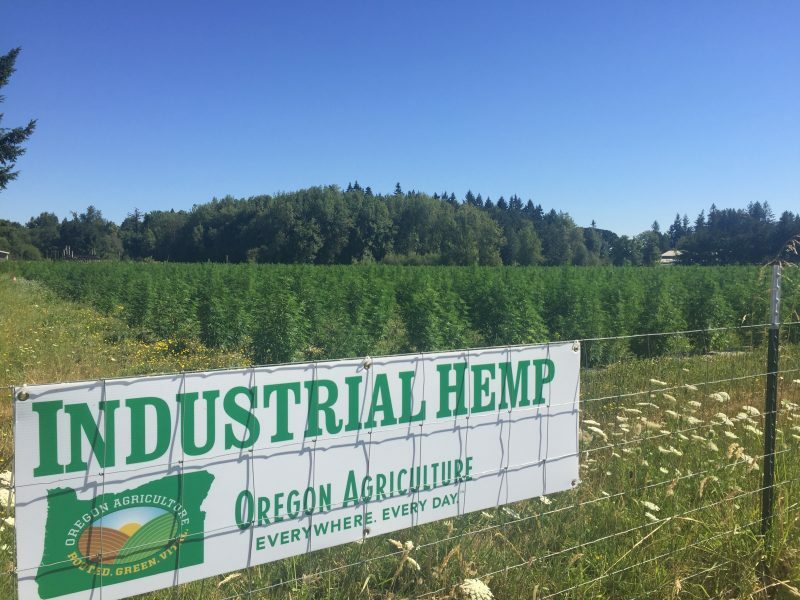 By legal definition, the term “industrial hemp” encompasses cannabis plants with less than 0.3% THC content (THC is the compound that produces a high). Just as there are many varieties of tomatoes or roses, there are many varieties of cannabis, each with distinctive characteristics. People often think of hemp as the tall, spindly plants with thick, fibrous stalks used to make rope, paper, or fuel. This is the type of hemp traditionally grown in China and India. It is highly efficient and versatile, but these varieties of hemp have very low cannabinoid profiles, so they are not well-suited for crafting wellness products. 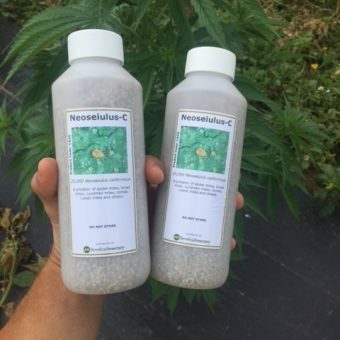 Many bargain CBD products use CBD isolate derived from this type of industrial hemp, which is problematic for a number of reasons, namely, the risk of concentrated pesticide, solvent, and heavy metal residues. Instead, at Frogsong Farm we grow craft hemp. 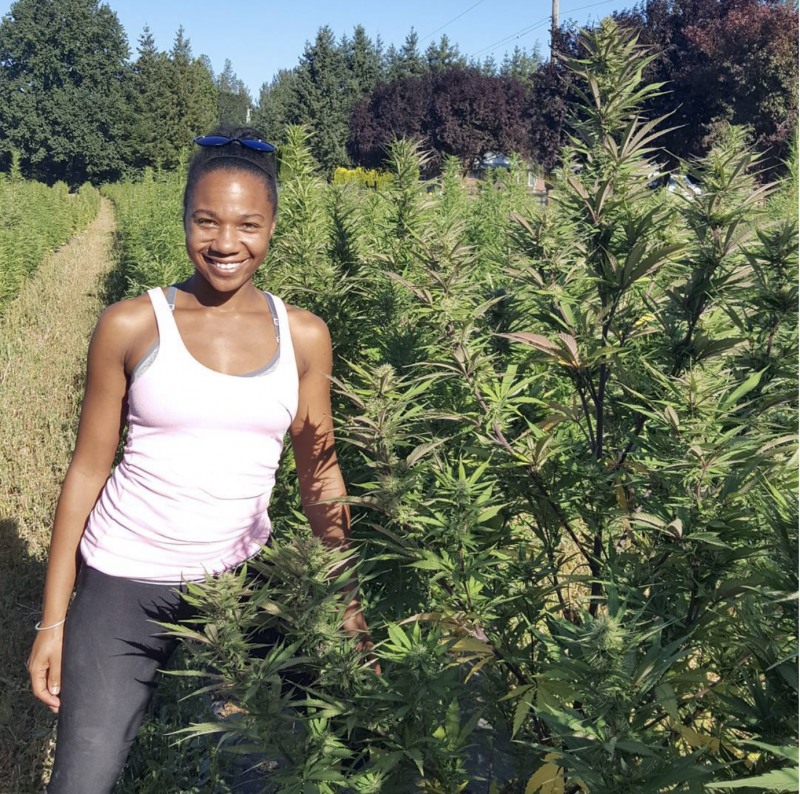 Our seeds come from Oregon CBD, an Oregon family that has been successfully breeding high-CBD, low-THC strains of cannabis for several years. Our plants are all under the federal legal limit of 0.3% THC. These plants are mostly Sativa dominant hybrids, though one or two of our strains have Indica genetics. (Forget everything you think you know about Indica vs. Sativa. More on this in a future post!) This year we are growing the following varieties: Sour Space Candy, Elektra, PineBerry, Lifter, and Special Sauce (don’t you just love those names?) These plants are bushy, lush and flower-heavy. They look like conventional cannabis plants, rather than industrial hemp. They’re also very high in cannabinoids and terpenes, unlike their tall, stalky counterparts. We’re about halfway into the growing season now. Plants are in the early stages of flowering. The Oregon heat wave in recent weeks has resulted in slower growth for the plants. When temperatures reach above 85 degrees, cells inside the plant’s leaves essentially go into maintenance mode. The plant’s energy goes into cooling, conserving moisture and simply staying alive. (We all have a friend who reacts the same way in this summer heat!) Our smallest hemp ladies, Special Sauce, are currently knee high, and our largest, the overachievers, Sour Space Candy, are pushing chest height already! One recent project has been sweeping the fields for male plants and carefully removing them. Our seeds are feminized, but about 1 in every few thousand will still be male. It is important to remove the males before pollination. If a female plant gets pollinated by a male, she will put all her energy into producing new seeds, and her flowers will have less of the cannabinoids and terpenes we’re after. Predatory Insects – our allies in the field! We are also keeping our eyes on the insect balance in the fields. We have no current concerns; we’ve noticed some hemp russet mites among one strain and are closely monitoring them. Our integrated pest management philosophy is to increase diversity on our farm and support natural ecological systems. We can use the food chain to our advantage. We never aspire to be a completely pest-free operation; this is not how nature operates. Instead, by introducing predatory insects, we are able to manage pest populations and keep any one species of critter from overpopulating or causing crop damage. Last week we noticed the plants have made the transition to flowering stage. After vegetative stage, when a plant is multiplying its food-producing leaves, plants switch into flowering stage, when growth slows and flowers are produced. It’s a beautiful process to watch. Hemp flowers, also known as colas, are different than other flowers- they’re not structured with petals and centers like most others. They’re more like fluffy, sticky little Christmas trees. 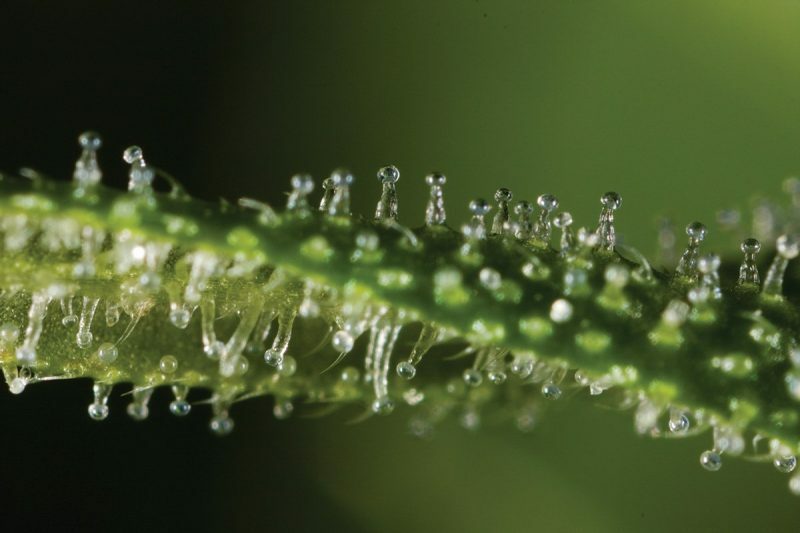 If you look closely you can see tiny glassy mushroom-like structures called trichomes. This is where most of the cannabinoids are concentrated. 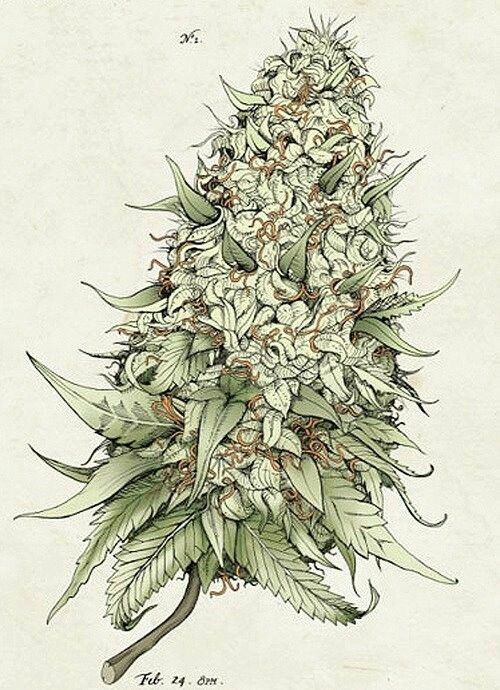 Spending time with the hemp plants while they’re in flowering stage is a fascinating and awe-inspiring experience. This isn’t a deep sea creature or a space alien plant… just a cannabis leaf, up close and personal. A whole world on every leaf. Wild as it is to believe, we are beginning to prepare for the fall harvest. 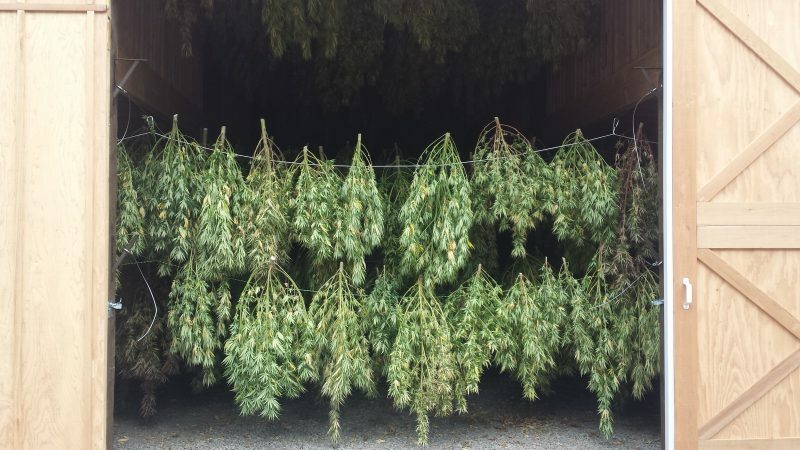 Our harvesting and drying methods, as well as processing, need to be dialed in and ready to go by September. We are growing several thousand more plants than last year, so some systems will need to be scaled. 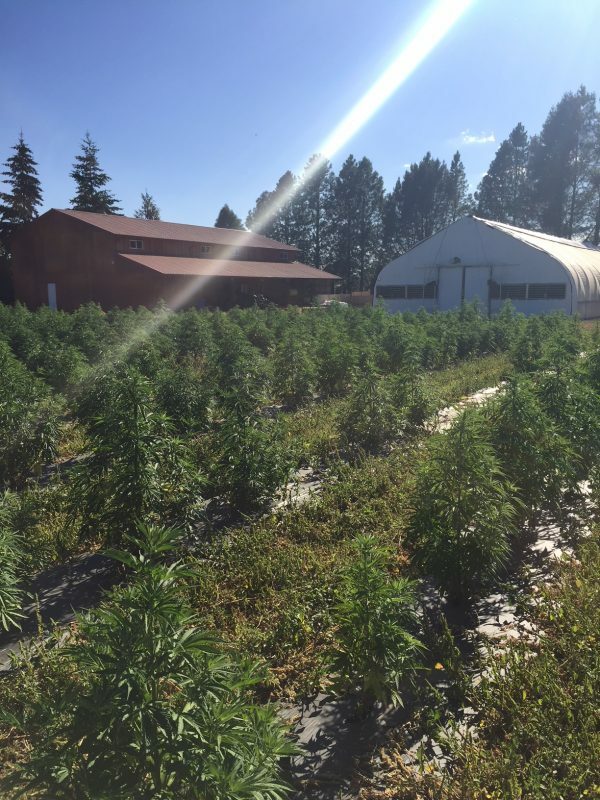 In August we will have the ODA (Oregon Department of Agriculture) come out to test our plants for THC content and give us approval to move forward with harvest, then we get to the fun part! Harvest is just around the corner. The exact date is TBD, but we’ll be happy to keep everyone updated as we move closer. Stay tuned for video and photo updates. 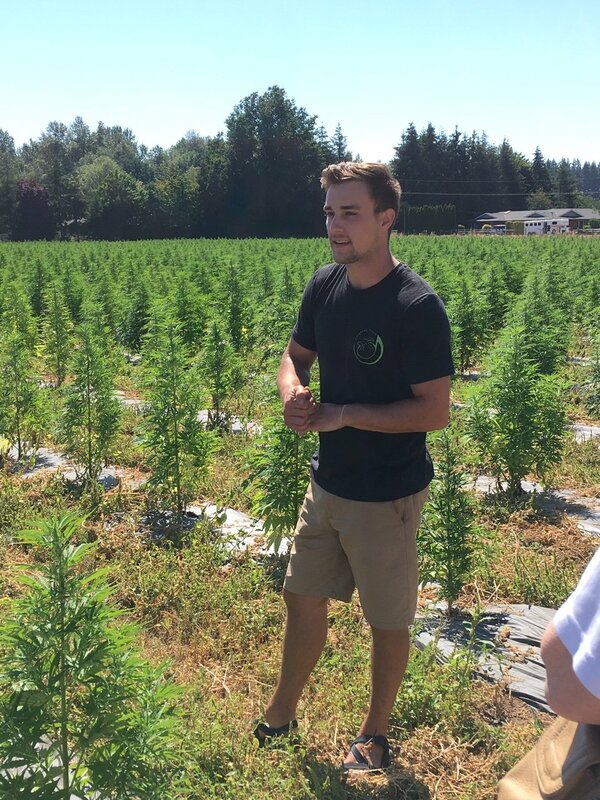 Thank you to everyone who has been following along on our hemp farming adventure. It is our pleasure and honor to supply you with ethically crafted, farm-direct CBD products. PS: Big news this week: Frogsong Farm is now officially a Certified B Corp! Not only that, we are the first Certified B Corp Hemp Farm & CBD Company of our kind. A B Corp is a company that meets rigorous standards for social and environmental performance, accountability, and transparency. It’s been a long road to earning this certification, and it is yet another way of assuring our customers they’re getting the best possible products from a company they can feel proud to support. Have you made the switch to ethically grown, family-owned and operated CBD? Opt for CBD that actually works. Opt for CBD you can trust. Click here to shop Frogsong Farm Drops tinctures & Rubbit topicals. Have a loved one across state lines? No problem! We offer free shipping and a satisfaction guarantee. Today is a good day to take a step toward feeling better. 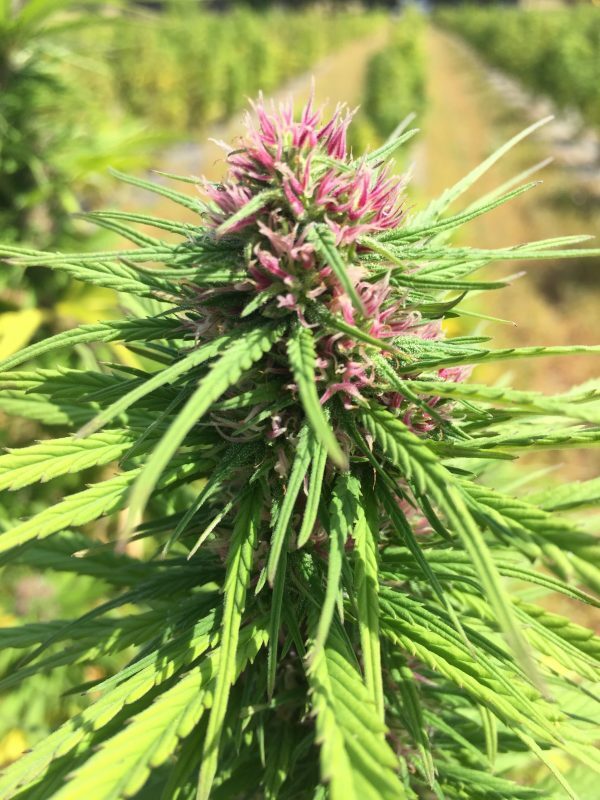 This entry was posted in Education, Farm Updates, Interviews, News, People, Products and tagged 2018 farm, b corp, cannabinoids, cbd, CBD for Beginners, CBD oil, cbd vs. hemp, certified b corp, craft hemp, family hemp farm, farm update, frogsong farm, hemp oil, integrated pest management, is cbd legal, news, Oregon b corp, Oregon cbd, Oregon department of agriculture, organic cbd, organic hemp, permaculture, portland cbd, regenerative agriculture, sustainable farm, sustainable farm Oregon, sustainable hemp, terpenes. Sorry to ask such a silly question, but my family lives in EAST TN and we’re seeing your story and would like to know what we need to get started. Would you mind helping anyone else out with advice? We’re happy to help however we can, Anthony. Send us an email with specifics, and in the meantime, feel free to peruse our blog and website to learn more about our farm and company. Hello, is your CBD processed in a food grade lab? Hi Wes, yes- our facilities and kitchen are all fully licensed. Thanks for stopping by!